Product #1525 | SKU PCIE/ADP* | 0.0 (no ratings yet) Thanks for your rating! 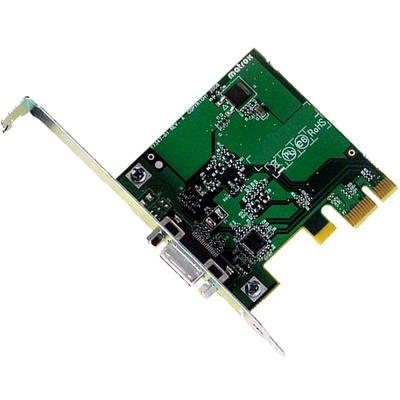 The MXO2 PCIe Host Adapter from Matrox is designed for use with the MXO2 HD/SD I/O device. This card seats in an empty PCIe slot in a PC or MacPro and allows you to integrate your computer with the MXO2. Use this PCIe card to integrate your PC or MacPro with the MXO2 HD/SD I/O device.